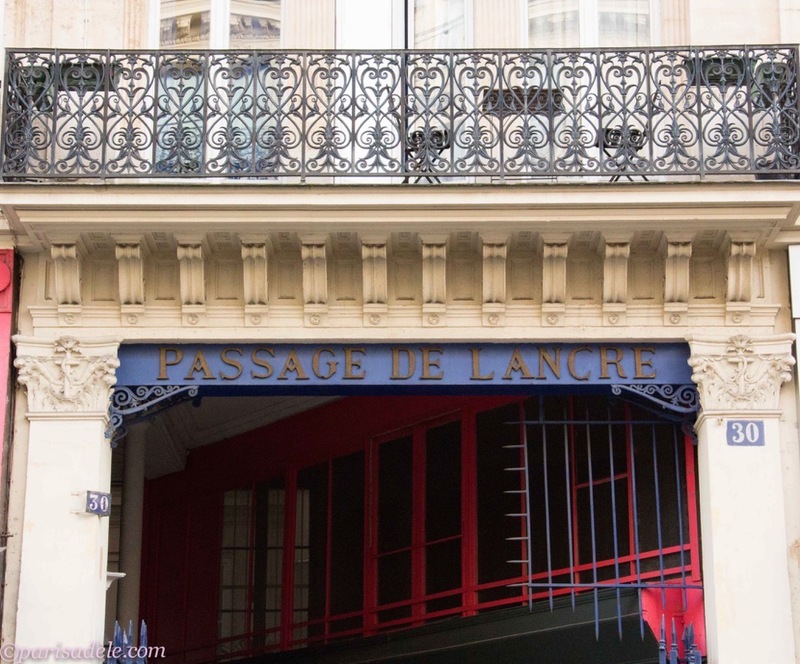 France: Passage de l'Ancre- a hidden ancient passageway in Paris. 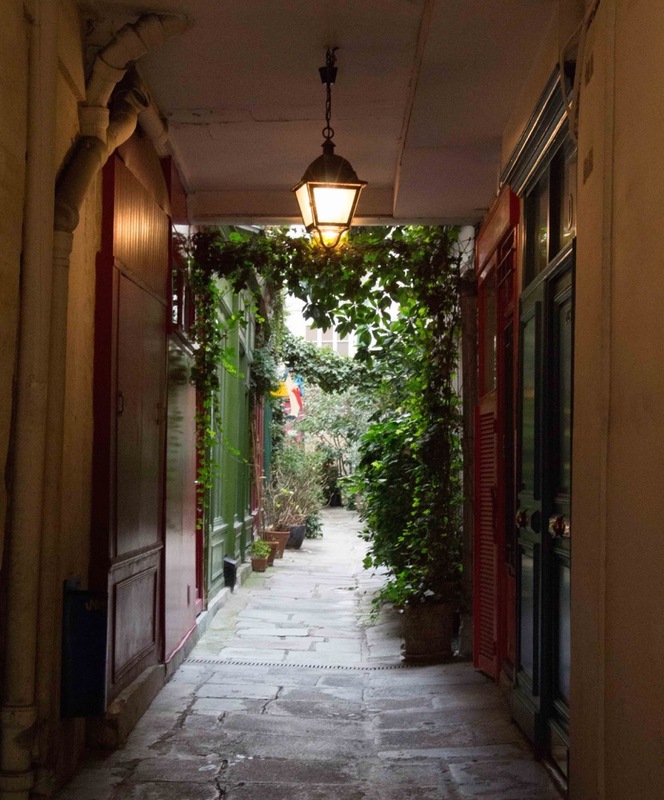 A tranquil ancient passageway in Paris. Escape the crowds and the traffic to discover a small oasis! Off the beaten path, this small laneway full of beauty and tranquility hidden behind a pair of unassuming doors, let's you leave the hustle and bustle of Paris behind and find some respite in this picture perfect secret. 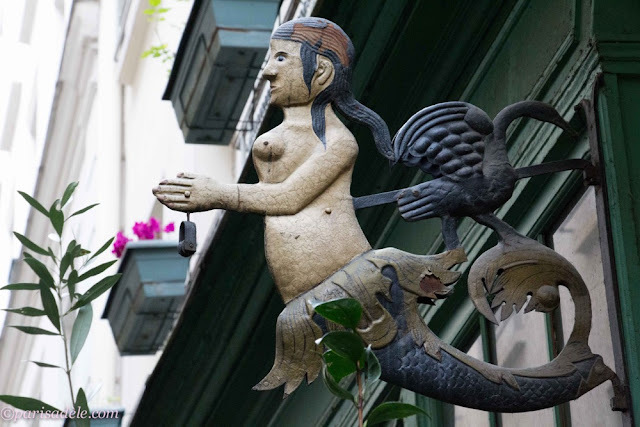 In the 3rd arrondissement of Paris, at 223 rue Saint-Martin. Map. 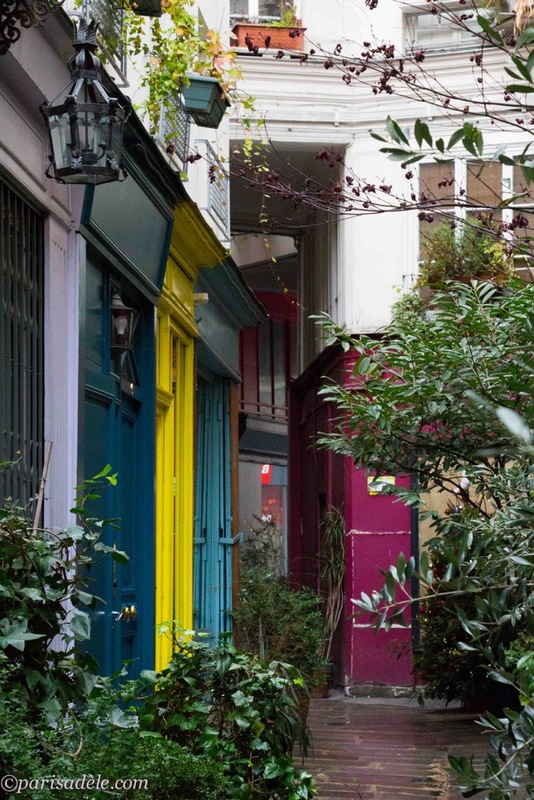 However, stepping through the dimly lit entrance, you will discover one of Paris’ best kept secrets, a charming and tranquil passage that will prove to be a pleasant reward. 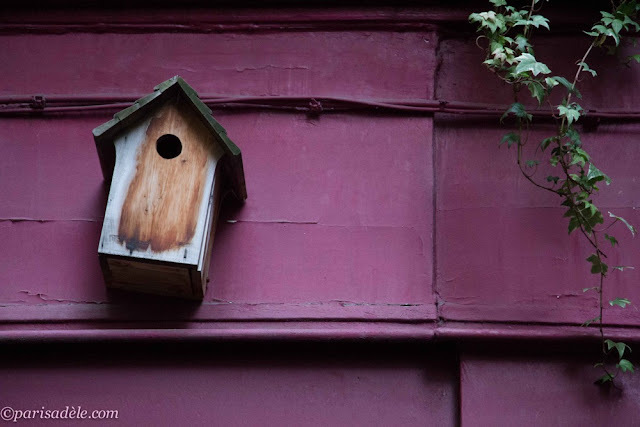 Ivy dripping down from overhead, lush plants lining the paved passageway and a riot of colour is what awaits. The narrow passage, measuring 2.5 metres wide, is considered one of the oldest in Paris. You won’t find fashion boutiques here. It was here back in the 1640’s that Monsieur Sauvage set up the first ‘taxi’ or fiacre service at his inn, the Hôtel Saint-Fiacre. Later, Saint-Fiacre became known as the patron saint of taxi drivers. You will also find L’Atelier de Fred, the workshop of Fred, a famous globe-trotting TV chef who conducts cooking classes. And then there is the delightfully unusual workshop of Pep’s umbrella repairs. With its distinctive colourful signage of a man wearing a bowler hat and carrying a red umbrella, Peps has been repairing and making custom-made umbrellas since 1960. 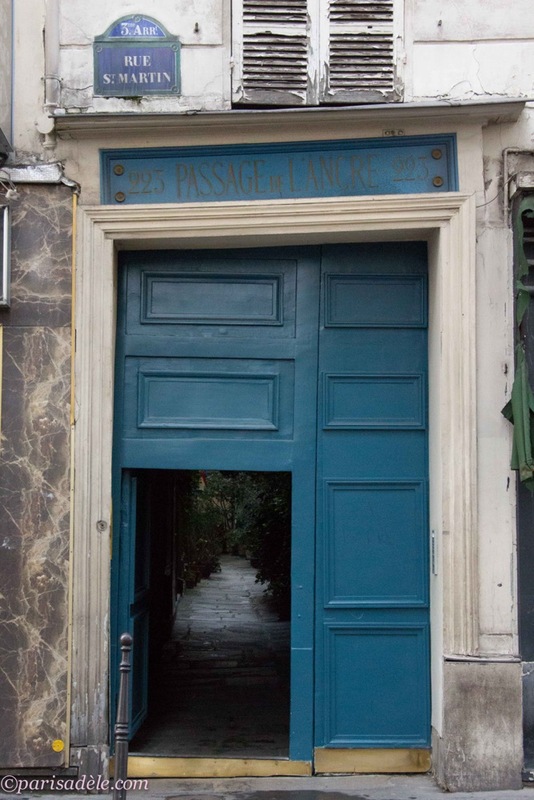 Passage de l’Ancre is steeped in history and such a marvellous little find, away from the hustle and bustle of the nearby busy Parisian streets. 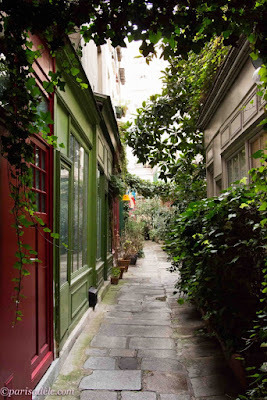 Discovering quiet secret passageways like this in Paris are moments to be cherished. Who would know such a delightful and tranquil little piece of paradise could be tucked away behind an unassuming crooked doorway? 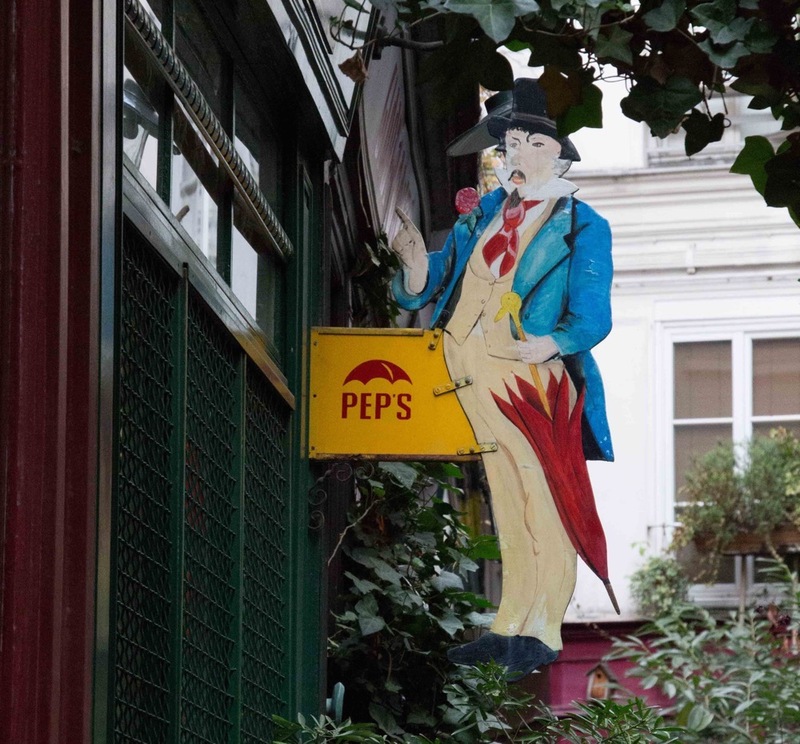 Paris is full of surprises and delights like this, you just need to know where to find them. 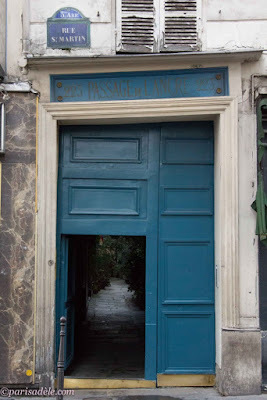 Opening Times of the passage: Monday - Saturdays during business hours, closed Sundays. Adèle is an Australian born Francophile with over 20 visits to Paris under her belt began visiting Paris for 5 weeks each year since 2010 and started a blog parisadele.com to share her discoveries and tips. Thanks Duncan. I'm a huge fan of your guide which is very detailed and well researched. 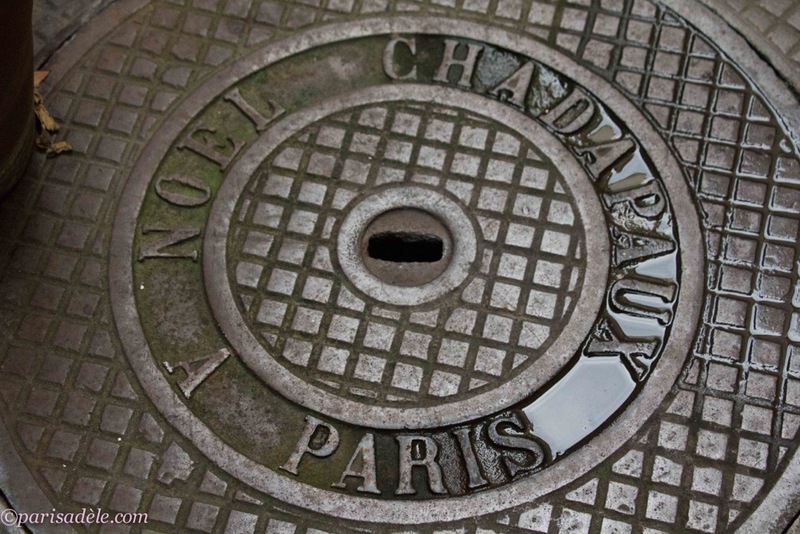 It just goes to demonstrate the richness of sights that Paris offers that even your book couldn't cover them all... I guess we would need you to write a Vol. 2! Thanks so much Minor Sights for inviting me to share this hidden secret in Paris. I hope you followers enjoy the tip. Our pleasure Adèle, we hope to see you again!